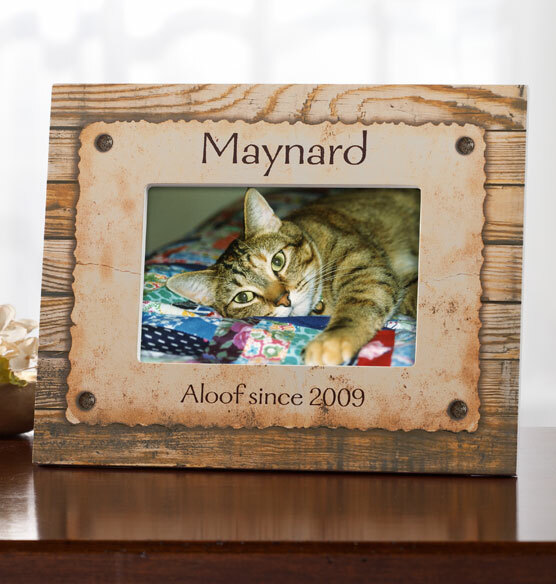 Express a snippet of what you imagine your pet is thinking with this personalized pet frame, available for cats or dogs. 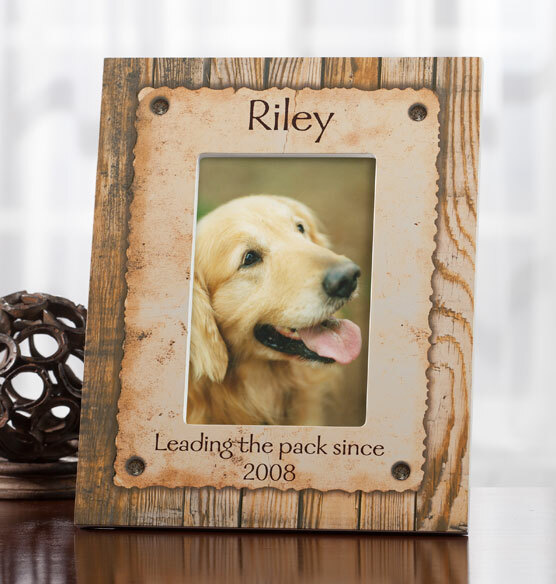 Personalized with a four-legged friend’s name and a special message, it makes a memorable gift for the animal lover in your life. Cat: “Aloof since” is standard. 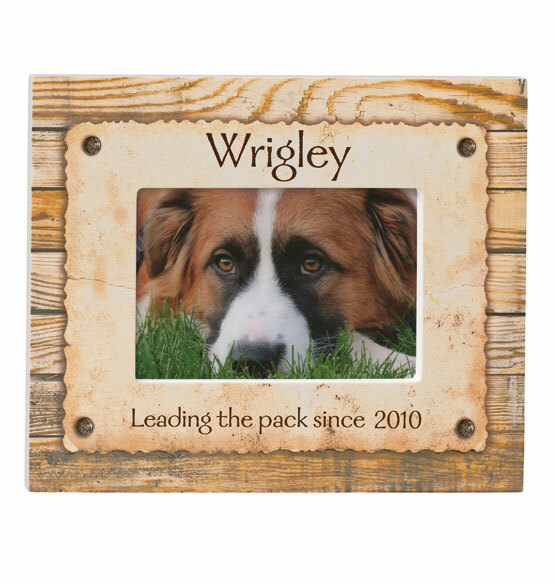 Dog: “Leading the pack since” is standard. i need a frame for a 10 x 6.5 picture(pencil drawing)? BEST ANSWER: Thank you for your question. 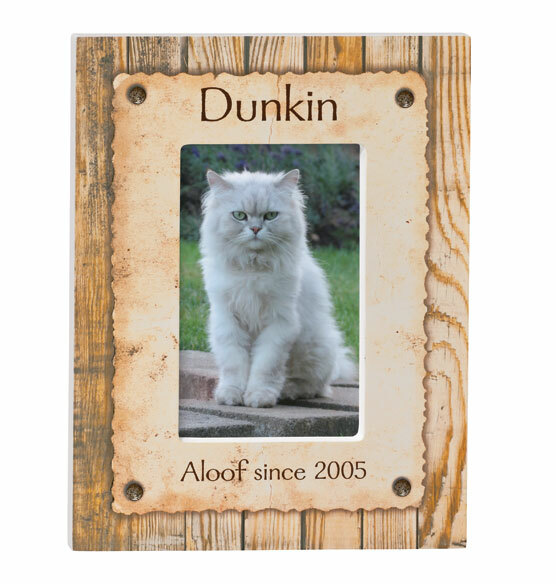 Unfortuantely we do not have a frame that is for a 10" x 6 1/2". We hope this information will be of help to you.